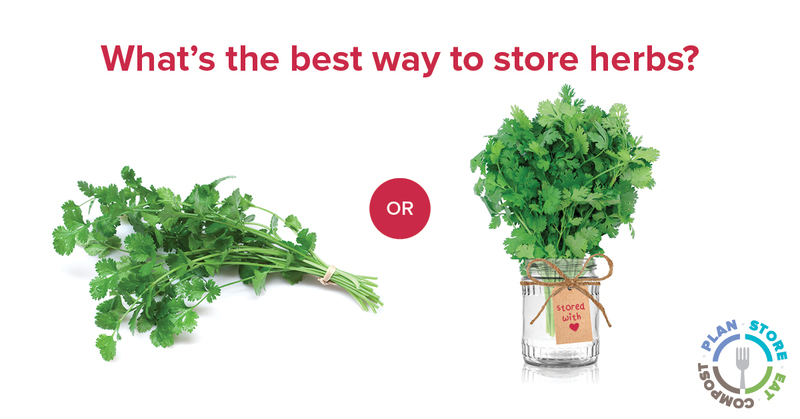 Do you know the best way to store your fresh herbs? How about what pairs with potatoes to keep them from sprouting? In our latest version of the Stop Food Waste campaign, we’ll be sharing food-saving tips across Alameda County BART stations, movie theaters, and social media as well as in your community at farmer’s markets and events. Keep your eyes and ears peeled! Alameda County Household Hazardous Waste will be hosting mobile one-day community drop-off events starting next month. Alameda County residents can get rid of leftover paint, old electronics, and even mattresses for free at select sites. The Mandatory Recycling Program recently released three new videos to help Alameda County businesses recycle better. Also available in Spanish and Chinese, the videos provide an overview of the Mandatory Composting & Recycling law in Alameda County, how to set up indoor bins, and detailed instructions on how to sort correctly. Nisha Patel joined StopWaste in 2011 as finance contractor, and now serves as management analyst. What do you do at StopWaste? I was a finance contractor for two years when I first joined, and served six years in a permanent role as the accountant. Before that, I was finance manager for a group of gold mines in Zimbabwe. This year, I have transitioned to my new role as management analyst. We have a very small finance department so we get to wear a lot of hats, which I’m very grateful for and appreciate. What is your favorite part of working at here? I really enjoy working on process improvement – streamlining and figuring out how to work more efficiently. Another favorite part of my job is the people I work with and our mission. It’s also interesting to be on the inside where you see how really important things like ordinances, which impact everyone, are implemented from the ground up and how they roll out to the public through outreach and education. I remember when the reusable bag ordinance first came out, no one could believe they would have to pay for a bag at grocery stores if they forgot their own. But now that has become the norm. It’s great being ahead of the curve in this way. How has working at StopWaste impacted you? Working here has introduced me to an industry which I never would have even considered with my background. It has also been an eye opener in terms of understanding how local government works. Seeing this first hand has inspired me to volunteer in emergency preparedness in my local city, Walnut Creek. On another note, we now have debates with our families from out of town about what goes in what bin. Because of what I’ve learned here, I have the knowledge I need to have a more informed conversation and hopefully influence others like my family. I volunteer and spend a lot of time with my two nephews enjoying all the things the Bay Area has to offer. On the weekends you’ll never find me at home. I take regular trips to Tahoe, and Yosemite is my favorite place to hike. What is a slogan that you live by? Don’t overthink life, just go with the flow. The universe has a plan for you, and it will always nudge you in the right direction.